The Merry Widow is set in the Belle Époque, that era of dizzying hats, hourglass gowns and boundless ornamentation. Paris, the era’s epicentre, offered dance lovers far more than the waltz and the can-can. Dr Caitlyn Lehmann gives us a sample of the rich scene that would have greeted Hanna and her friends if they’d ventured out to the theatre. As Hanna and her companions strolled along the boulevards by night, their jewels and medals would have glinted in the radiance of a marvellous new invention. Electric lights were the brighter, safer successors of the 19th century’s gaslights – and nobody in Paris made better use of them than ‘La Fée Electricité’ (The Fairy of Electricity), Loie Fuller. A native of Chicago, Fuller became the embodiment of Art Nouveau style, using electric lighting to illuminate her mesmerising manipulations of diaphanous fabric. 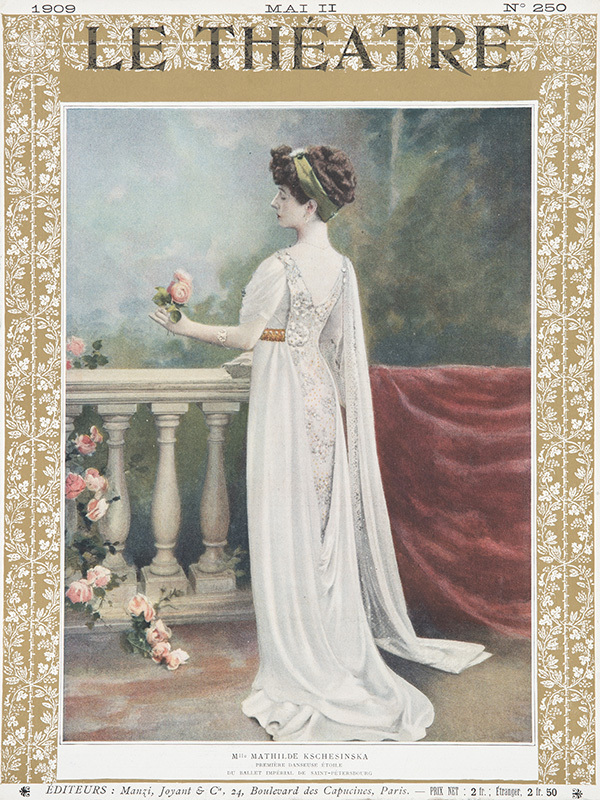 “She emerges from the darkness, her airy evolutions now tinted blue and purple and crimson,” wrote an entranced reviewer, then “[she] vanishes, leaving only a flutter of her white robes on stage.” Fuller’s Paris debut at the Folies-Bergère created an instant sensation in 1892, and secured much-needed éclat for the venue. A who’s who of artists, aristocrats, fashionable peoples and intellectuals flocked to see her; weekly matinees were added for families. Always an avid follower of developments in science, Fuller constantly extended the technological sophistication of her theatrical apparatus – she even approached the prize-winning physicist Marie Curie about the potential of radium as an on-stage phosphorescent. It’s remembered as an era when the doyens of high society sought out ‘low life’ for entertainment. But for all its joie de vivre, Belle Époque Paris was still a world where class and snobbery ruled. The Moulin Rouge in Montmartre was certainly not a place where the well-heeled folk of The Merry Widow would be have wanted to be seen. The night-club, opened in 1889, was part-cabaret, part-brothel. 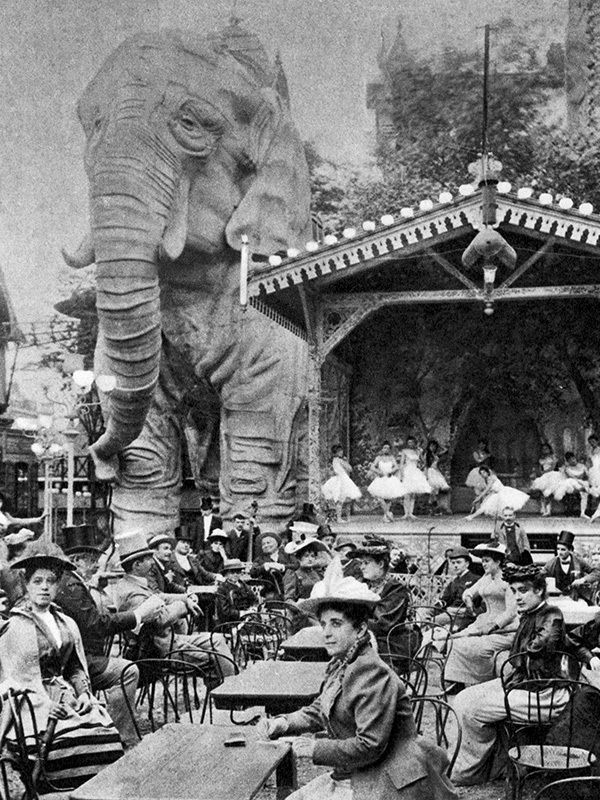 As well as the iconic windmill over the venue’s entrance, the Moulin Rouge boasted a huge dance floor, a stage for variety acts, an enclosed garden full of tables and a chairs – and a colossal stucco elephant with an opium den in its belly. There was absinthe, there were donkey rides, there were dancer-prostitutes who kicked the can-can. In the 1890s their chieftain was the coarsely sensual La Goulue (The Insatiable), a life-toughened woman who wore her hair in a distinctive topknot. Her regular dance partner was Valentin the Boneless, a tall, slender man with long arms and legs, so nicknamed for his rubbery contortions. 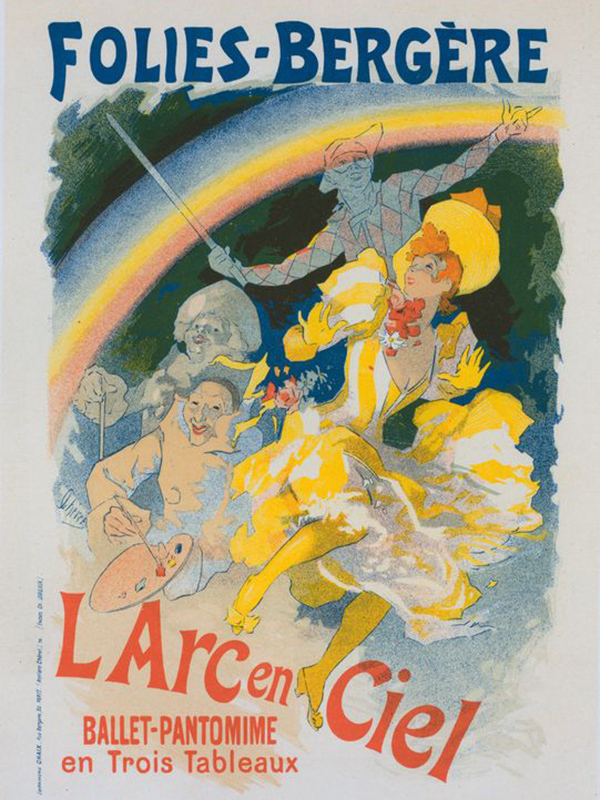 Despite the venue’s seedy reputation, a number of its entertainers, including La Goulue and the dancer Jane Avril, also performed at more mainstream theatrical venues; so while the Pontevedrians would have shunned the Moulin Rouge, they may have glimpsed its stars at other venues. No theatre was grander or more imposing than the opulent Palais Garnier, which housed the Paris Opéra and its well-heeled clientele. On stage, the stars of the Opéra’s ballet were Rita Sangalli, Rosita Mauri and Carlotta Zambelli. Behind the scenes, the artist Edgar Degas mingled with the dancers, capturing them in charcoal and pastel as they stretched, relaxed and awaited their cues. Yet for all its prestige and tradition, the Paris Opéra’s ballet battled scarcity and stagnation. Pedro Gailhard, the Opera’s director from 1884 to 1907, was a parsimonious former baritone with no interest in dance. Dancers’ wages were static; new ballets were a rarity. 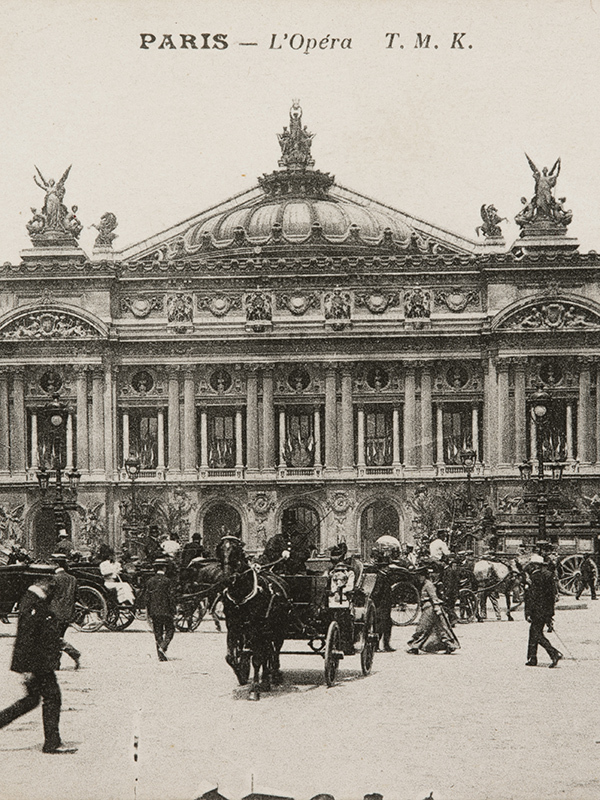 When the Opéra’s scenery and costume store was destroyed by fire in 1894, Gailhard chose 15 productions to be restored – only one was a ballet. As standards dropped and choreographic inventiveness declined, the Opéra’s once illustrious ballet company was overshadowed by the vibrant dance scene in the city’s music halls. Louis Merante’s Les Deux Pigeons (1886) was a rare success for the Opéra’s ballet, one that Hanna and her friends would have relished for its gypsy dances and affable, headstrong heroine. In contrast to the Opéra, with its stalwart respectability, the Folies-Bergère was the kind of venue where the bachelor Count Danilo might have skulked among the gentlemen spectators. The venue’s variety acts initially included circus, dancing, musical comedy and all manner of theatrical curiosities. 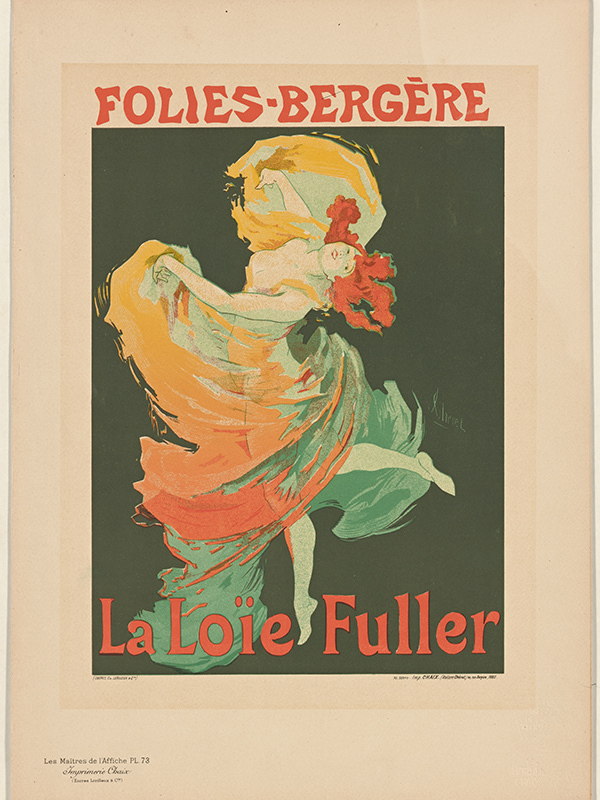 But after 1886, under the artistic direction of Edouard Marchand, the Folies-Bergère became increasingly well known for its spectacular ballet productions. In fact, in the 15 years to 1901, it presented no less than 49 large-scale pantomime-ballets, featuring subjects that ranged from traditional fairytales and love stories to parodies of ancient mythology and tongue-in-cheek depictions of contemporary life and fashion. Its dancers, many of them trained in Italy, were of equal standard to their fellows at the Opéra, and often more flamboyantly virtuoso. While there were always plenty of risqué songs and dance routines, by the mid-1890s the Folies-Bergère had regenerated into one of Paris’ most chic and sophisticated theatres – a venue suitable for ladies as well as gentlemen. If Hanna and her friends were discouraged by the Paris Opéra’s lacklustre dance offerings, they might nevertheless have made a special visit there in 1908. In May that year, the prima ballerina of the Mariinsky Ballet, Mathilde Kschessinska, danced a series of guest performances, appearing in Coppélia and La Korrigane (a fairy ballet set in 17th-century Brittany). If the Pontevedrians didn’t catch Kschessinska at the Opéra, they may have seen her at one of the city’s many fashionable haunts: the Café de Paris, the homes of leading socialites, or the salons of the city’s leading couturiers. Kschessinka herself did not think much of the Opera, despite the warm applause she received from the public. She despised the ballets she danced for including too few solos in which she could show off, and bitterly complained that the Opera “made no publicity” about her arrival. Ah, Maxim’s! There the fountains of champagne flow! There the couples mince and swagger! There Hanna and Danilo waltz their way into the happily ever after! Opened by former waiter Maxime Gaillard in 1893, the small bistro off the Rue Royale quickly grew into a mecca for fashionable Parisians. According the restaurant’s official history, a young comedienne called Irma de Montigny chanced upon the bistro one day. Charmed by its atmosphere, she adopted it as a meeting place for her elegant friends and acquaintances. Just five years later, Maxim’s (called Chez Maxime in The Merry Widow) passed into the hands of Eugène Cornuché and, in a stroke of genius, Cornuché had the restaurant opulently redecorated. He employed the leading art nouveau artists, turning the interior into an extravaganza of floral stained glass, curvaceous mirrors, tendrilous forms and swanky wood carving. But were there can-can dancers at Maxim’s? Well, in 1898 French playwright Georges Feydeau wrote a classic farce called La Dame de Chez Maxim, in which society doctor Lucien Petypon wakes after a hard night at Maxim’s to discover a dancer in his bed. The dancer, la Môme Crevette (the Shrimp) is not from Maxim’s though; she’s from the Folies-Bergère. Perhaps the can-can in The Merry Widow is an impromptu performance by the mettlesome dancers of the city’s raciest theatre, enjoying a flute of champagne and kicking up their heels after the show. Relive the irresistible glamour of the Belle Époque when The Merry Widow can-cans into town – get ready, Sydney, Canberra and Melbourne!